Houseboat Holidays Ltd provides tailor-made tours designed to show you what you'd never see from a classic tour boat. You can choose your own points of interests and create an itinerary suited to your schedule and trip requirements. This is an ideal option for families with kids, group of friends, couples, and anyone else looking for a new way to experience this scenic area. Consider inviting a gang of your friends for a fishing excursion, plan a diving expedition with a local captain, or design a private island tour through picturesque back channels and narrow passageways other vessels can't access. There's a three day minimum for boat rentals. 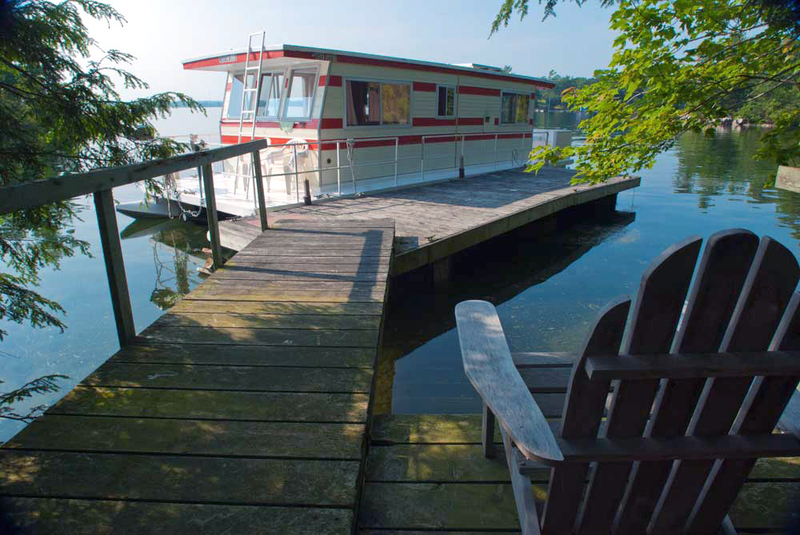 To visit Houseboat Holidays Ltd and other attractions in Gananoque, use our Gananoque online day trip planner . Fantastic experience! The boats are not new, but they are fully functional, comfortable and the price is right. Everyone there was very friendly and helpful, and took the time to answer all my newbie questions. We ran out of propane on the 4th morning (My fault. I should have checked them every day, since the first 2 days/nights were fairly cold and the heater ran quite a bit). A quick call to the office and 2 fresh tanks were sent out to us in record time. As mentioned in other comments, the maps provided by Houseboat Holidays have lots of great info, but I would recommend installing the Navionics app on a phone - it helps avoid some nasty rocks and lets you get closer to shore to anchor. It's much cheaper than a new propeller! If you use a CPAP or think that you might need more battery power, Houseboat Holidays will gladly provide you with an extra battery. I really hope that I can go back and spend another week on the waters of the 1000 Islands soon. Thank you to everyone at Houseboat Holidays for making our trip so memorable! This was our 2nd. rental from Houseboat Holidays. I can't explain why we waited 6 years to do it again. The boats aren't new, but are well maintained. We had no issues whatsoever and the owner and employees are extremely helpful with even the most silly questions. They also provide a large cooler for the asking. They provide a well marked chart (we have our own) with gas locations and suggestions for the Canadian National Parks of which they have paid the annual fees for docking. Two suggestions before you go: Download the Navionics phone app to all your phones (2 week free trial) to make navigation and depth finding all the easier! Book a kayak or canoe in advance so you can more easily do shore excursions. We are looking forward to doing it again. From start to finish the entire experience was seamless. This operation has 40 years of experience here and it shows. Orientation was efficient and straightforward. Everything on the boat worked as promised. Engine always started immediately, as did the BBQ (both very, very important haha). Fridge was ice cold even on the hottest days. Their advice, coupled with their notes on the laminated charts proved accurate and invaluable. And even when we had a minor issue just before breakfast on our 2nd last day the service was incredible; they offered two solutions, one which we could easily perform in about 10 minutes—handy if we were underway already— and the other where they would come out and fix it for us. We opted for the latter and were astonished to see them come out in a fast boat, replace a part and vanish in about 40 minutes flat. And THAT’S when you realize you’re dealing with professionals. In short, this was an immersive experience where every day felt like we were in a Group of Seven painting and we can’t wait to book a longer trip next year! Every day, we help thousands of travelers plan great vacations. Here are some tips on how to use your Listing Page to attract more travelers to your business - Houseboat Holidays Ltd.
Promote your permanent link - https://www.inspirock.com/canada/gananoque/houseboat-holidays-ltd-a5238532461 - on your website, your blog, and social media. When a traveler builds a plan from this page, the itinerary automatically includes Houseboat Holidays Ltd. This is a great way for travelers looking for a great vacation in your city or country to also experience Houseboat Holidays Ltd. Promoting your link also lets your audience know that you are featured on a rapidly growing travel site. 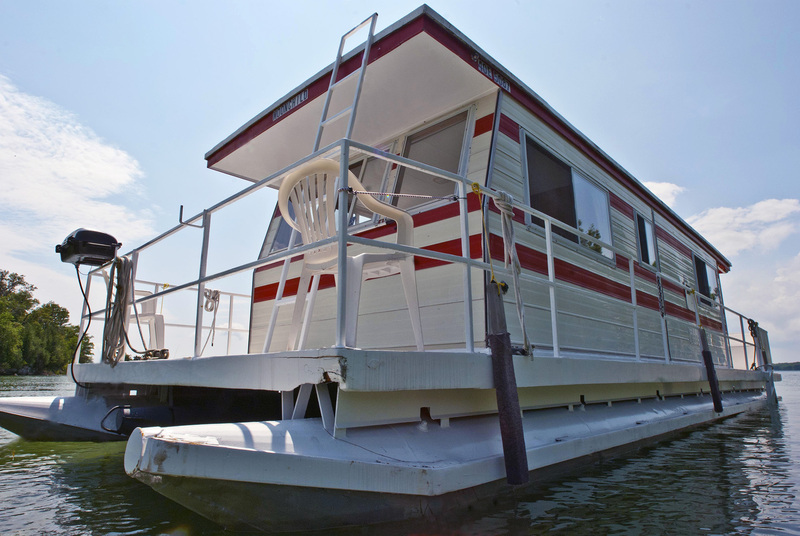 In addition, the more this page is used, the more we will promote Houseboat Holidays Ltd to other Inspirock users. For best results, use the customized Trip Planning Widget for Houseboat Holidays Ltd on your website. It has all the advantages mentioned above, plus users to your site can conveniently access it directly on your site. Visitors to your site will appreciate you offering them help with planning their vacation. Setting this up takes just a few minutes - Click here for instructions.